Los Angeles chef Kuniko Yagi has created an Asian-inflected version of the New England summer classic. One reason it’s so good: the extra-fluffy, jet-black charcoal bun. 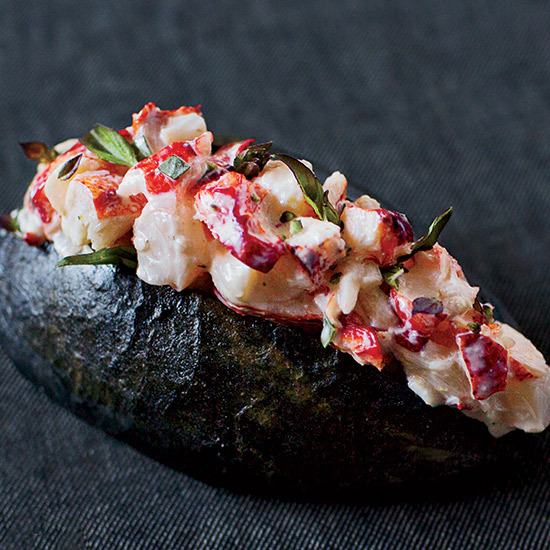 Chef Kuniko Yagi grew up outside Tokyo, so she’d never tasted a lobster roll before visiting Pearl Oyster Bar in New York City in 2011. She loved the combination of firm but tender lobster meat and supersoft bread. “The textural difference makes the bite really satisfying,” she says. At Hinoki & the Bird in Los Angeles, she uses green curry paste and fragrant purple basil to contribute Thai and Vietnamese flavors. But what really gets everyone’s attention is the jet-black brioche roll, colored with Japanese charcoal powder. “The color makes an impact, but it doesn’t change the flavor at all. The softness of the bread is the whole point—like you’re eating a cloud.” 10 Century Dr.; hinokiandthebird.com.